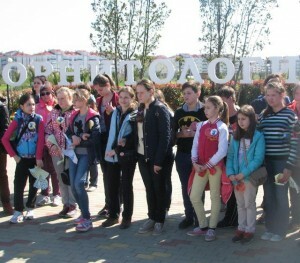 April 1, marking the International Day of birds in Sochi for the first time, the birding competition took place “Protected spring – 2016”. 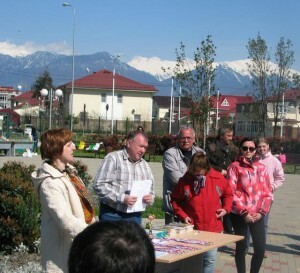 The organizers of the competition were the natural ornithological park in the Imereti lowland, and Partnership “Birds and People”. complex at which the competition was held – is the city park, including ponds and land adjacent to it. In the first championship for Sochi, 13 teams participated. For all the teams it was their first time participating in birding, and has shown remarkable results: over two hours of competition 12 species of birds have been photographed, including the black-necked grebe, mute swan, mallard, gray and red herons, gray dove, hoopoe, rook, black- goldfinch, Corn Bunting, hoodie, Wheatear. Whilst the jury worked on the results, the students participated in master classes, outdoor games and quizzes devoted to birds. Sochi has opened its doors to birding, and it may not be far off when this important ecological and informative game will be an Olympic sport!